OSA educators are trained to facilitate one-hour to multi-day workshops for formal and informal educators on using archaeology in the classroom. We focus on Project Archaeology curricula, as explained below, but are also well-versed in how archaeology applies to state and national standards, STEM education, multiple learning styles, environmental education, and more. Trainings for teachers can incorporate one or more of these topics. Costs for teacher workshops will be calculated based on staff time, travel, and workshop materials. Fees can be estimated by reviewing our flat rate chart and totaling the number of event hours, or contact us directly. The Iowa Project Archaeology program was launched in 2002 and is headquartered with the Office of State Archaeologist Education and Outreach Program. The Iowa Project Archaeology program coordinates a variety of professional development courses, institutes, and workshops for Iowa, Nebraska, Minnesota, Illinois, South Dakota, and Missouri educators. The program also offers hands-on archaeological experiences for elementary students throughout the state. 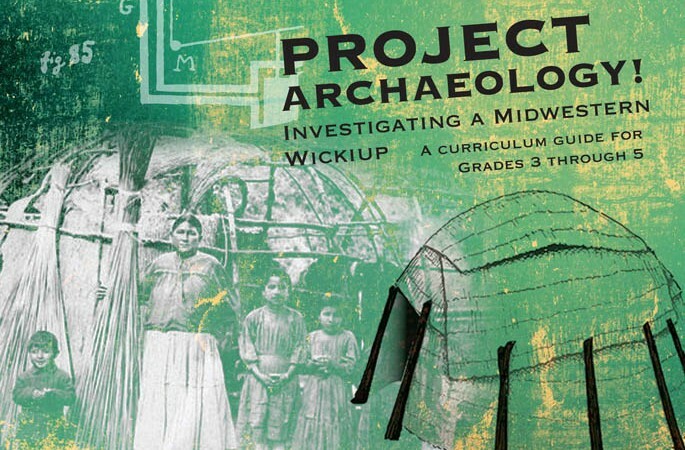 The OSA Education and Outreach Program develops Project Archaeology curricula in collaboration with the national Project Archaeology Program for educators, including our most recent publication, Project Archaeology: Investigating a Midwestern Wickiup. This curriculum unit (and all 15 and counting other Online Shelter Investigations ) is available for free download on the Project Archaeology website to those who have purchased Investigating Shelter . All of the curricula we develop and the workshops and courses we host have a place-based focus, bringing educators and students out to places where history (and archaeology) happens. We have had many collaborative partnerships throughout the state to help make Iowa Project Archaeology possible. These include, but are not limited to, the State Historical Society of Iowa, Herbert Hoover Presidential Museum and Library, Iowa Department of Natural Resources, Iowa Department of Transportation, Sac & Fox Tribe of the Mississippi in Iowa, Iowa Tribe of Kansas and Nebraska, Iowa Archeological Society, Putnam Museum, Sioux City Public Museum, county historical societies, county conservation and nature centers, schools, museums, libraries, and many departments at the University of Iowa and other Iowa universities and colleges. Join our Project Archaeology Network! Are you interested in being included on our listserv to hear about Iowa Project Archaeology events, professional development courses, free lessons, and other opportunities? E-mail Elizabeth to be included ! Have you used Project Archaeology in your Iowa classroom or educational facility this year? Or have you helped run a workshop or conference booth? Please let us know so we can capture information for the Project Archaeology annual report! This annual report summarizes data per fiscal year, beginning October 1 and ending September 30.